Women’s Audio Mission, a San Francisco-based organization dedicated to promoting the advancement of women in music production and the recording arts, will hold an event in Nashville on April 27-28. The organization will present their WAMCon Nashville immersive recording arts conference, a two-day event with workshops covering topics from studio recording and mixing techniques to songwriting, guided by award-winning female producers and engineers like Linda Perry (P!nk, Adele, Alicia Keys), Emily Lazar (David Bowie, Foo Fighters, Beck), Shani Gandhi (Alison Krauss, Old Crow Medicine Show, Jewel), Simone Torres (Cardi B, Sia, Dua Lipa, Usher, Sean Garrett), Gena Johnson (Brandi Carlile, Kacey Musgraves), Jordan Brooke Hamlin (Indigo Girls, Lucy Wainwright Roche), Jennifer Decilveo (Andra Day, Beth Ditto), and Melissa Pierce (Carrie Underwood, Garth Brooks, Reba McEntire). WAM trains over 2,000 women and girls a year in the recording arts to address the critical lack of women in the audio industry. 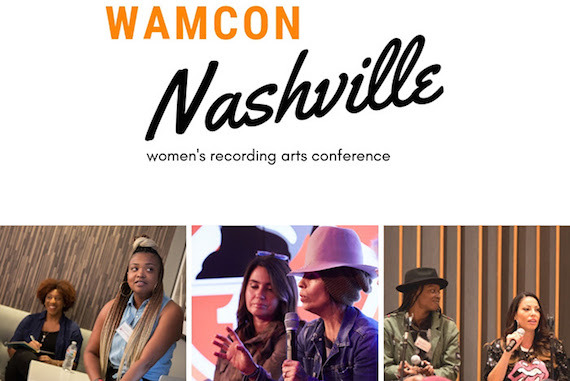 Over the past year, WAM hosted three sold-out recording arts conferences in Los Angeles at Capitol Studios, New York at Jungle City Studios and YouTube Space NY, and Boston at iZotope/PRX Podcast Garage, which served over 500 women. WAMCon Nashville will take place at The Tracking Room, as well as Ocean Way Nashville Recording Studios. The event is sponsored by Spotify, Eventide, Epidemic Sound, Shure, The Walt Disney Studios, iZotope, and Universal Audio, and presented in partnership with Change the Conversation, an organization that fights gender inequality in the music industry by providing support, education, and community for women artists and executives. Additional details about WAMCon Nashville, including the information about the sessions, panelists and workshop leaders, as well as ticket purchase, is available here: WAMCon Nashville 2019.